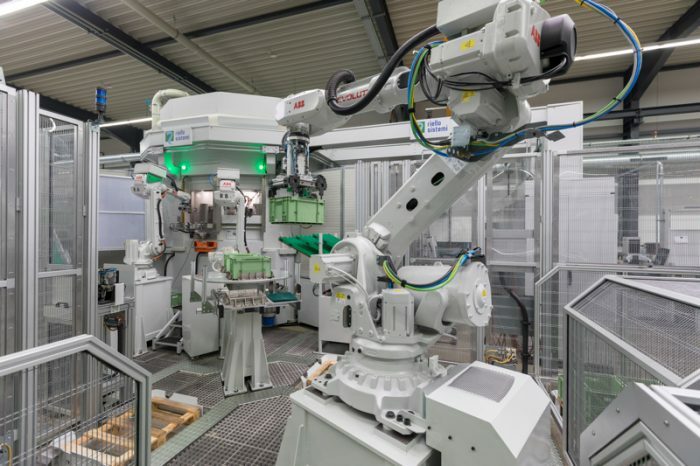 At its main base in Werdohl, Stauff has placed into service a rotary transfer machine for tube connectors with which some 1.5 million angle, T-connector and cross-pieces can be made from forging blanks. In this way, the all-in supplier of hydraulic lines has reacted to the considerable demand for its own “Stauff Connect” tube connector range which came onto the market in 2015. A second rotary transfer machine for producing straight connections from bar stock with twice the output came into service in April. “With these high-capacity machines we will raise our manufacturing capacities from 10 to 15 million parts. This will ensure higher availabilities for our customer – even in view of the continuing rise in demand”, explains Ralf Oberbossel, responsible, as well, as a Stauff director for metal-cutting production involving total investments of 6.2 million euros. The favourable economic climate has seen the company recording substantial growth in all its ten product groups with the most pronounced being, as expected, in Stauff Connect. The fittings range is designed for connectors and attachments of metric tubing of a 6 to 42 mm diameter in acc. with DIN 2353 and ISO 8434-1. Thanks to the individually programmable CNS control of the rotary transfer machines, fully automatic clamping of the blanks, ease of access to machining stations for short set-up times and rapid tool changing, production processes are optimized and a constantly high product quality guaranteed. Also present at Werdohl are ultra-modern machining centres for quick production of small to medium batches and custom variants. “We have prepared ourselves in good time for the constantly growing demand in all steps ensuring short delivery times for our customers”, according to Mr. Oberbossel. Consequently, the increase in production capacities goes in hand in hand with extending storage areas and further developing logistics. Last year, the available spaces for containers and pallets were increased to over 55,000 and 10,500 respectively in Neuenrade – the automatic logistics centre right next to the Werdohl production facility. Also on the Neuenrade site is one of the company’s long-serving electroplating suppliers. This ensures short paths and rapid delivery in coating components with a high-grade zinc/nickel surface and their subsequent installation. Since taking over Voswinkel GmbH in 2015, the Stauff Group has become one of the leading producers of quick-release couplings and hose fittings. Since pooling Sales and Logistics at the beginning of January 2018, customers of both companies can now acquire all the products from a single source through Wallter Stauffenberg GmbH & Co. KG. For more information, please visit http://www.stauff.com.